Limiting exposure of your personal information is the best way to protect yourself from fraud. Here's what you need to know about preventing identity theft. For the sixth consecutive year, identity theft surpassed construction, credit card and debt collection fraud as the most prevalent form of consumer fraud, according to the Federal Trade Commission, which received 255,000 identity theft complaints last year. Many consumers associate identity theft with email solicitations and computer firewall breaches, but checks, credit cards and Social Security numbers remain targets as well. Protecting your self against identity theft is more important than ever these days. To protect yourself from becoming a victim, follow these tips to prevent identity theft. – Use your initials and last name when ordering printed checks. A check forger won’t know how you sign your checks, but your bank will. – Do not have your home phone number or Social Security number printed on your checks. Use your work phone number. Use a post office box or work address instead of your home address. – Order new checks from your bank and pick them up at the bank, rather than having them sent to your home mailbox. – When paying credit card bills, write only the last four digits of the account number in the check memo line. – Photocopy both sides of your driver’s license, credit cards and other important contents of your wallet. In the event it is stolen, you’ll know exactly what is missing. Keep a list of your credit card numbers and their toll-free customer service numbers so you can cancel cards quickly if lost or stolen. Keep the list in a safe place in your home, not in your wallet. – Do not carry your Social Security card in your wallet. Memorize the number and put the original card in a safe place. – If you believe your Social Security number has been compromised, contact the Social Security Administration fraud line 800-269-0271. 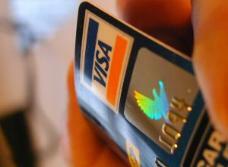 – Do not write your PIN on the back of the card or on anything else in your wallet. – Use different PINs for each debit and credit card. If you have too many to remember, consider reducing the number of cards you carry in your wallet. – Do not use easily available information, like your birth date, phone number or part of your Social Security number, for PINS and passwords. – Use post office collection boxes for outgoing mail, rather than your home mail box. – Shred any trash that may contain personal information, including charge receipts, credit applications, insurance forms, medical statements, checks and bank statements, expired credit and debit cards and direct mail credit offers. – You can opt not to receive direct mail credit offers by calling 888-567-8688. – File a police report to document the theft and the wallet contents. – Contact one of the national credit reporting organizations (listed below) to have a fraud alert placed on your name and Social Security number. The organization you contact is required to contact the other two. If the thief’s purchases initiate a credit check, the credit reporting organization can alert the merchant. Placing a fraud alert entitles you to free copies of your credit reports. – Close all accounts for missing credit cards. Check your credit reports for accounts opened fraudulently. – File a complaint with the Federal Trade Commission, which maintains a database of identity theft cases, online at www.consumer.gov/idtheft. This database assists law enforcement agencies and helps the FTC learn more about identity theft. Notify your bank if your wallet contained a checkbook or debit/ATM cards. All information herein has been prepared solely for informational purposes, and it is not an offer to buy or sell, or a solicitation of an offer to buy or sell any security or instrument or to participate in any particular trading strategy. The Money Alert does not make any representations or warranties as to the accuracy, timeliness, suitability, completeness, or relevance of any information prepared by any unaffiliated third party, whether linked to this web site or incorporated herein, and takes no responsibility. All such information is provided solely for convenience purposes only. The Money Alert is not affiliated with any of the firms or entities listed unless specifically stated. The Money Alert does not provide investment, tax or legal advice. Please consult the appropriate professional regarding your personal situation.